The longan tree is erect, 9-12 m in height and 14 m in width, with rough-barked trunk to 70 cm thick and long, spreading, slightly drooping, heavily foliaged branches. The evergreen, alternate, paripinnate leaves have 4 to 10 opposite leaflets 10-20 cm long and 3 - 5 cm wide. The leaves are leathery, wavy, glossy-green on the upper surface, minutely hairy and greyish-green beneath. New growth is wine-coloured and showy. The pale-yellow, 5 to 6 petalled, hairy-stalked flowers, larger than those of the lychee, are borne in upright terminal panicles, male and female mingled. The fruits, in drooping clusters, are globose, 1.5 - 2.5 cm in diameter, with thin, brittle, yellow-brown to light reddish-brown rind, more or less rough (pebbled), the protuberances much less prominent than those of the lychee. The flesh (aril) is mucilaginous, whitish, translucent, musky, sweet, but not as sweet as that of the lychee and with less 'bouquet'. 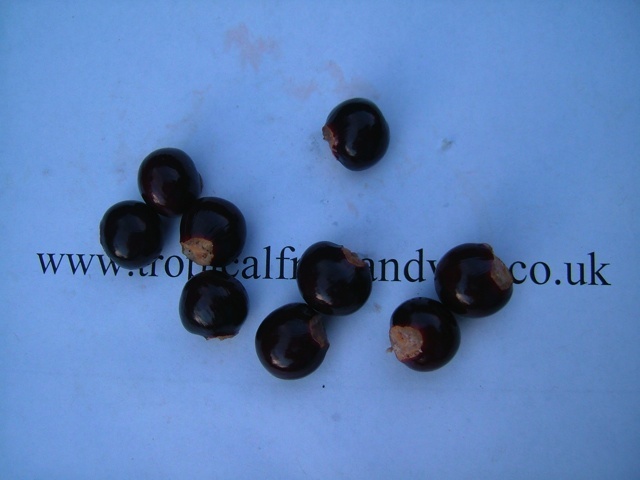 The seed is round, jet-black, shining, with a circular white spot at the base, giving it the aspect of an eye. 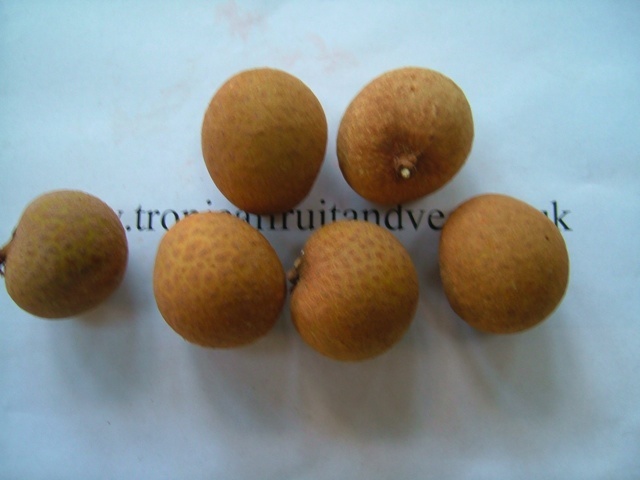 Longan gorws in sub-tropical climates and does well where lychees are grown. It requires a cool winter to rest. 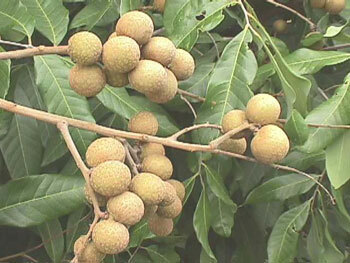 The longan thrives best on a rich sandy loam and nearly as well on moderately acid, organic, sand. It also grows to a large size and bears heavily in oolitic limestone. 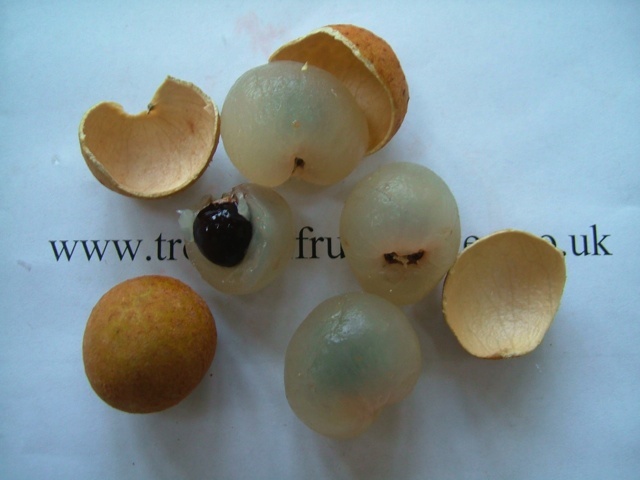 Longan can be propagated from seed, air-layering, budding, grafting, cutting and inarching. Trees grown from seeds take longer to bear fruit (7-8 years). The seeds lose viability quickly. After drying in the shade for 4 day, they should be planted without delay, but no more than 2 cm deep, otherwise they may send up more than one sprout. Germination takes place within a week or 10 days.